The Kentucky Derby trail runs through Turfway Park today with Spiral, a 9 furlong test over the track’s artificial dirt surface. It provides the best, if only, route for an artificial surface/turf horse to qualify for the Derby without first showing dirt form. The winner today will receive 50 points — a lock to qualify. Many return from the El Camino Real Derby, including Metaboss, who won that race. 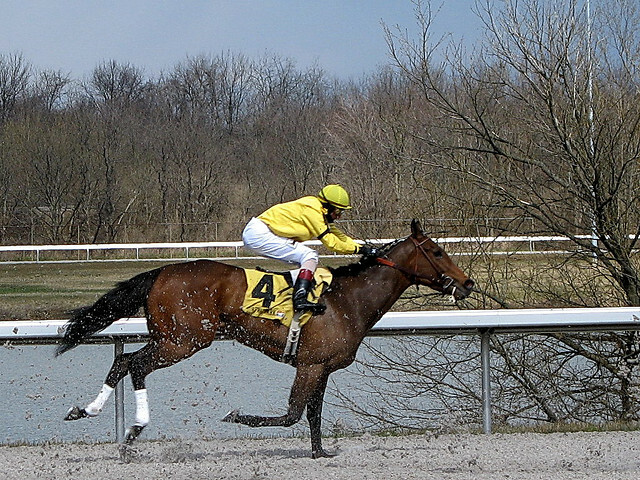 The El Camino Real Derby is the other 2015 Kentucky Derby Points race run over an artificial surface. It was here that Animal Kingdom got the graded earnings — under the old system — to qualify for the Kentucky Derby, without any previous performance on dirt. Hard to knock the path when it produces a victory like in the Kentucky Derby. Looking at today’s race, it begins with Royal Son, who had an impressive speed figure over this track defeating the Great War. It might say absolutely nothing about his chances in Louisville in May, but he very well may be the fastest in this field today. He could be a horse that prefers ultimately prefers turf — and its likely correlation with polytrack, but is only running on dirt because of the Derby trail. The scratch of Imperia helps him as well. Imperia, his main rival, was second off the layoff and appeared likely to favor the artificial surface as well. The rest of the field is interesting, especially Metaboss, who would need to improve to catch Royal Son, and certainly could over the added ground. But, even with that, it’s still Royal Son’s race to lose, and I’d rate him at 8/5. He dominates the field on speed and is proven over the track. Some risk with the pace and class test — and the always present sudden 3YO improvement, but he seems a very strong horse today in the Spiral.